If you are an athlete who plays contact sports, it’s important you get the right mouth guard to protect your teeth. However, did you know that you also need to replace your sports mouth guard when it starts wearing out? If you play or practice contact sports several hours a day, it doesn’t take long to deform or wear down the protective material. A visit with an experienced Gahanna dentist can help you determine whether mouth guard replacement is necessary. It’s the end of the season. We recommend you visit your sports dentist to replace your mouth guard after every season or every six months. Research shows that mouth guards become less effective when they lose their thickness. This is because there is less protective material to absorb external impact and protect your teeth from injury. You will also want to replace your mouth guard when the dental warranty runs out. This is because it is no longer guaranteed to protect teeth from a sports injury. The mouth guard is frayed or deformed. It’s not uncommon for athletes to take out their mouth guards and chew on them. However, over time this can cause the sports mouth guard to fray or deform. To prevent your mouth guard from wearing out prematurely, it’s important to stop yourself from forming bad habits. If you see other athletes chewing on mouth guards, don’t follow their example. Otherwise, you may have to replace your sports mouth guard sooner than you think. The mouth guard can also become deformed when you wedge it into a face mask. You’ve had dental treatment or tooth loss. If you’ve recently gone through dental treatment that changed your bite, you will need a new mouth guard. In order to protect your teeth, it’s important that the fit of your mouth guard not be too tight or loose. You should also make sure that your mouth guard covers the entire outer surface of your teeth. Likewise, you will also need to replace your mouth guard if you’ve recently experienced tooth loss. Your mouth is still growing. For a child or teenage athletes, it’s important you replace their mouth guard every six months or at the end of their sports season. This is because their mouths are still growing and will require a mouth guard that fits properly. Even if your child doesn’t play contact sports on a regular basis, you’ll still need to replace their mouth guard when their jaw grows or teeth shift. Teeth also shift during orthodontic treatment. 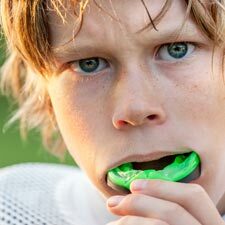 If your child plays several contact sports, it may be more convenient to have a sports injury dentist make their new mouth guards during their six-month dental checkup. If you are interested in learning more about our sports mouth guard service, please feel free to call our Gahanna sports dentistry at (614) 475-7580. Dr. 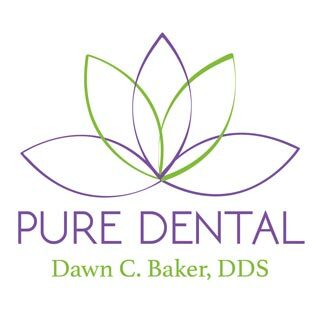 Dawn Baker DDS at Pure Dental strives to help athletes maintain healthy smiles with the proper dental protection.